ACM SIGGRAPH recognizes Ken Perlin with the 2008 Computer Graphics Achievement Award for his broad contributions and impact across computer graphics, ranging from novel mathematical approaches for modeling to hardware interfaces. His creative research approach has produced many innovations in rendering, modeling, animation and user interfaces, and has inspired several new lines of research. Ken is best known for harnessing the power of stochastic processes for modeling and animation. His adaptations of noise and turbulence mathematics into simple and readily implemented algorithms have become standard tools in virtually every graphics modeling system. His efficient construction of these functions has been applied to adding naturalistic realism to textures, shapes and motion. Noise and turbulence were just part of his seminal 1985 SIGGRAPH paper that also introduced the separation of volumetric representations of material structure and object shape, as well as a fully general programming language for surface shading. He is one of the leaders in the area of procedural modeling in graphics and animation. Ken has introduced many novel approaches to user interaction. His software “Pad” demonstrated the power of an interface based on nesting and zooming of documents. On the hardware side of interfaces, he has contributed to autostereoscopic displays. In a completely different area, Ken has created methods for developing responsive animated characters with emotions and personality. He used stochastic motion controls to enliven animated characters, pointing the way toward realistic behaviors. With his virtual environment IMPROV he created real-time characters with life-like responses to other real or virtual actors. In further studies he explored real-time facial animation, inverse kinematics, and stochastic posture controls applied to multiple interacting characters. In recent years Ken has been developing innovative game-based approaches to science education for school-aged children. Also, in addition to publishing highly cited papers, he has shared his inventions through what he has called “The Web as a Procedural Sketchbook.” He is continually coding new ideas and sharing them through his web page. Through this medium others can view his art, play whimsical games, and learn fundamental concepts. Running through all of Ken’s research are common threads of promoting community, supporting expressiveness and exploration, and forming bridges between technology and artistic expression. 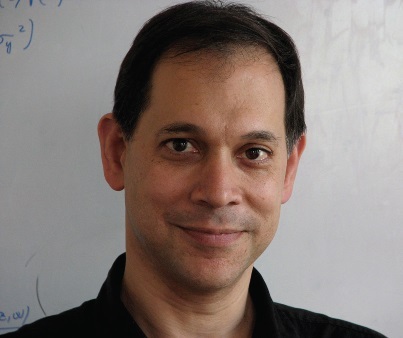 For the creativity, enthusiasm, and technical innovations that he brings to computer graphics, ACM SIGGRAPH is pleased to present this award to Ken Perlin.